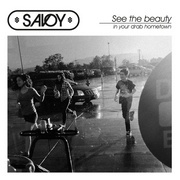 Savoy are looking both backwards and forwards when they are releasing the double album Savoy Songbook, Vol. 1. After eleven years and five albums Savoy have found that the time is ready for a summary. The new double album consists of a “best of” collection with 14 songs and an album with three brand new and seven old, but re-recorded songs. – That way we’ll be looking both backwards and forwards. 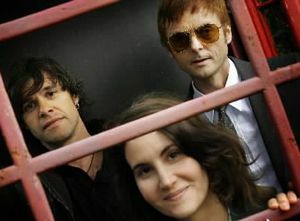 Even if we still haven’t started the planning of a brand new album, those three songs may indicate the direction we’re taking, Frode Unneland and the couple Paul Waaktaar-Savoy and Lauren Savoy say. Paul and Lauren are on a short visit to Oslo from their home in New York, while Frode has taken the trip across the mountains from Bergen to talk about Savoy’s songbook. So far they can only talk about it, because it’s still a while until it will be available in the shops. – We’ll release it sometime during this summer. Probably in June, definitely not in July, but at least no later than August, Paul notes. That’s why there won’t be a new Savoy tour until sometime in the autumn, but at least Paul can be seen on Norwegian stages twice during the summer. 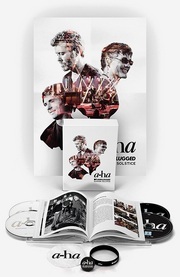 That will happen with a-ha in Fredrikstad 17. August and Tromsø 25. August. Paul also confirms that a-ha have started to record another album, but he doesn’t want to say much more about it at this point. – We have just started, so that’s way too early. The trio explains the idea of mixing old songs with partly new and brand new songs on “The Savoy Songbook” with different markets. – This album is on Universal, and will be released in some countries where our music previously has been hard to obtain. There, the “Best of”-collection, which includes “Velvet”, will function as an introduction to Savoy, while the second CD will offer Norwegians an updated version of Savoy. According to the band, there is more than just cosmetic changes that characterizes the seven re-recorded songs. – Previously we have always worked very much in the studio, by adding layer upon layer. This time we have recorded all the songs live in the studio together with the Swedish producer Michael Ilbert, and everything has also been given new arrangements. We also sing all three of us on this album, so on the whole it’s ended up very differently, Paul, Lauren and Frode claim. They laugh when they mention how the number of takes varied heavily between each song. – We probably did around 30 takes of one song, while we settled for four-five of some of the others. The second or third take is usually the best. That’s when the song works, and you haven’t had time to start thinking too much. When it comes to the new direction which they claim the new songs can point towards, “more up-tempo” is how Paul would describe them. – Our music has previously been very moody, this time it’s a bit more direct and aggressive. More like our live concerts, Paul says. He let himself be inspired by the local coffe shop Grey Dog back home in New York, for the new single “Karma Boomerang”. – They have a jar for tips with the writing “Karma Boomerang”. I guess the idea is that it gives you good karma to put some money in it, that what you give comes back in return to you. I thought that deserved a song, Paul says. From Adresseavisen, 9. May 2007. By Leif Gjerstad. Photo by Heiko Junge.